Today’s Gospel continues from the previous two weeks. The people had eaten a dinner that Jesus miraculously provided; perhaps now they will receive breakfast, too! Jesus redirects their focus from their physical needs to their spiritual hunger. He urges them to work for the heavenly food, spiritual nourishment that could sustain their life with God. In verse 35 we hear the first of Jesus’ seven “I am” statements (8:12, 10:7, 11, 11:25, 14:6, 15:1). Jesus defines himself in each of these statements using the formula (“I am”) that is strictly forbidden by the Jews. God had revealed the divine nature as I AM (Exodus 3:14) and Jesus’ appropriation of those words is no coincidental reference to his divine origin. 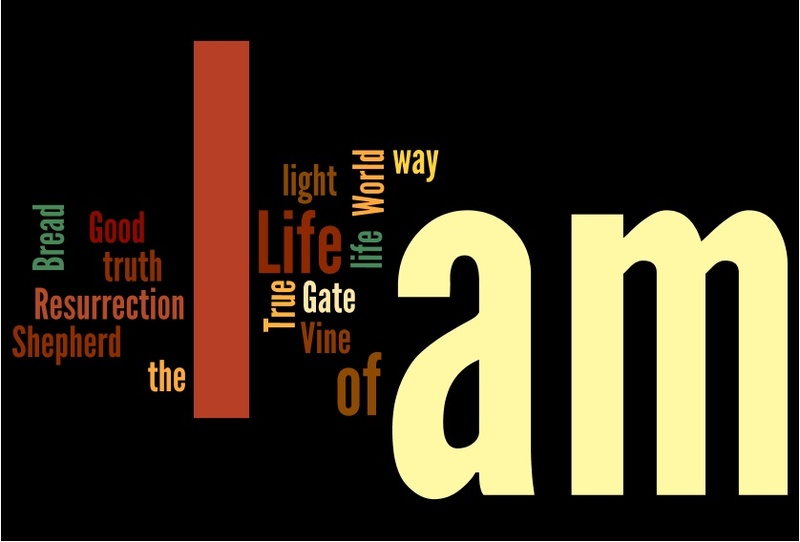 Each “I am” statement reveals more fully Jesus’ identity and mission. John records two objections, suspecting that his readers may have the same questions. Both revel the level at which Jesus’ opponents deal with him. They can not, or will not, open themselves to the spiritual realities of which Jesus speaks, preferring to take refuge in the apparent physical obstacles. Jesus explains that those who are drawn to believe in him do so because God opens their spiritual eyes. Such questions would only be answered by faith. The second obstacle is their physical interpretation of his invitation to each his flesh and drink his blood. Nothing could be more offensive to a pious Jew to whom human flesh was prohibited, and all blood – human or animal – was holy (Leviticus 17:10-12). Many scholars fee that, since John does not include an account of the Last Supper, this passage contains the essence of the institution of Holy Communion. No other passage so clearly explains the meaning of the Eucharist – that by partaking of Jesus’ life and death, by fully taking his life into ours, we find life. Bread is a central image in today’s Gospel passage and is used as a metaphor for Jesus himself. Read the three “I am” statements in John 6:41, 48 and 51. Discuss these images of bread and what they tell us about the life and ministry of Jesus. Verses 38-40 give us an indication of the purpose of the Incarnation. What is the will of God for Jesus, and for us as his followers, as revealed here? How would you describe the difference between manna in the wilderness and the “bread that comes down from heaven”? What does it tell us about the radical change that Jesus brings into the world? What is your own understanding of eternal life? In John 6:44, Jesus speaks of persons being “drawn by the Father.” How do you feel that you are being drawn to God? The modern equivalent of the objection raised in John 6:42 may be, “Wasn’t Jesus really only a human being, a charismatic figure perhaps, but still only a human being?” What kinds of responses might you give to that objection today? This entry was posted in Ordinary Time and tagged Eucharist, Jesus, Last Supper, sacraments. Bookmark the permalink.